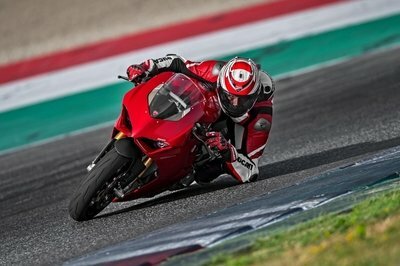 The bike looses more than 23 lbs of weight to make it more nimble Carbon and aluminum parts, Lithium-ion batteries, lightweight fuel tank, and the Akrapovic exhaust unit. 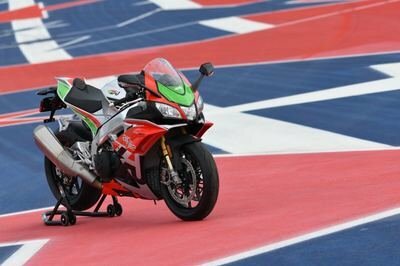 Aprilia Racing christened its ‘Factory Works’ project which allowed customers to get access to their special, high-performance machines that begins life as the extraordinary 201 hp RSV4. It was the single most exciting thing to come out of the 2015 EICMA convention which got every moto aphrodisiac’s blood racing. For the 2017 EICMA stand, Aprilia brings in the 2018 version of the RSV4 superbike that has been now primmed up to 215 hp, courtesy a weight saving program and some fancy equipment kits altering the engine components and bodywork. 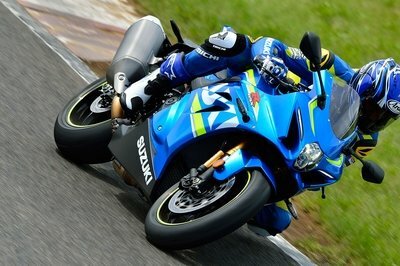 The RSV4 superbike has already won seven world titles and is dominating the Superstock 1000 FIM Cup. 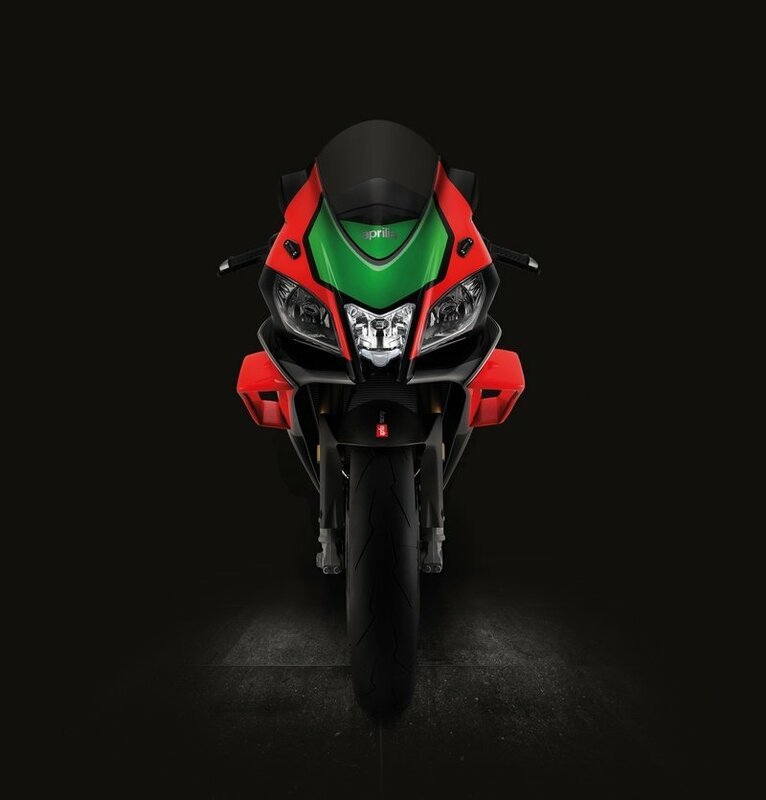 It boasts of lighter pistons, quick shifter and an all hi-spec APRC (Aprilia Performance Ride Control) package that does traction control, cruise control, wheelie control, launch control and pit limiter. That is a lot to stand up for. 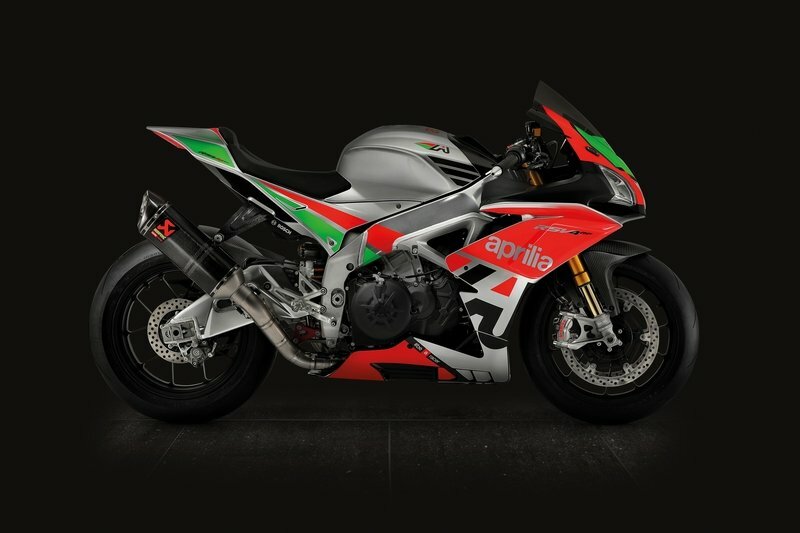 Taking that mammoth stature to the next level, the folks from Aprilia Racing have introduced a special kit for 2018 that will "maximising engine performance, reduce overall weight and improve aerodynamics." 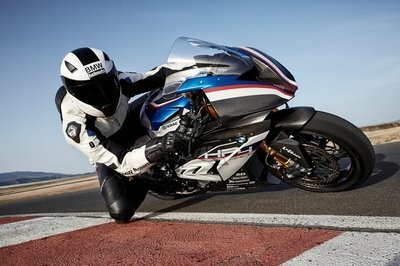 Carbon and aluminum parts, Lithium-ion batteries, lightweight fuel tank, and the Akrapovic exhaust unit. On the powertrain, new sets of single-grooved pistons alone ensure 4 hp increase in maximum power. Then there are optimised cylinder heads, springs, valves and caps. The camshafts and the pistons get surface treated to reduce friction losses. 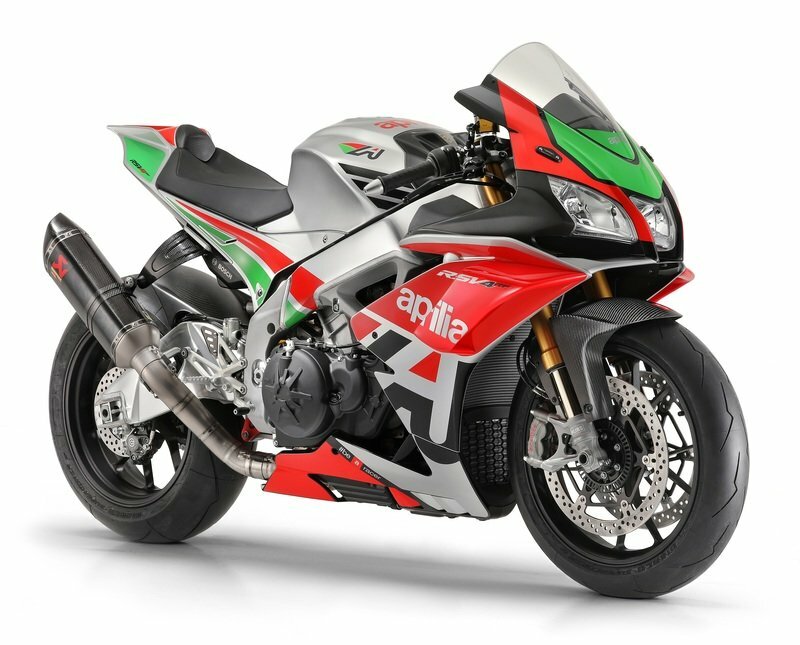 The ECU is reprogrammed to a race version where engine control and vehicle dynamics maps are fidgeted by the Aprilia Racing team where all engine maps will be in the ‘full power’ version and optimised for racing exhaust systems. Losing weight is the key to better handling and performance figure. The Factory Works has done just that with the carbon and aluminum parts, ultra-lightweight lithium battery and a lightweight fuel tank that still manages to keep the same shape. Akrapovic exhaust unit makes a scene and adds to the weight loss program. Without disregarding everything we’ve said, the star of the show is the winglets on the side fairings. 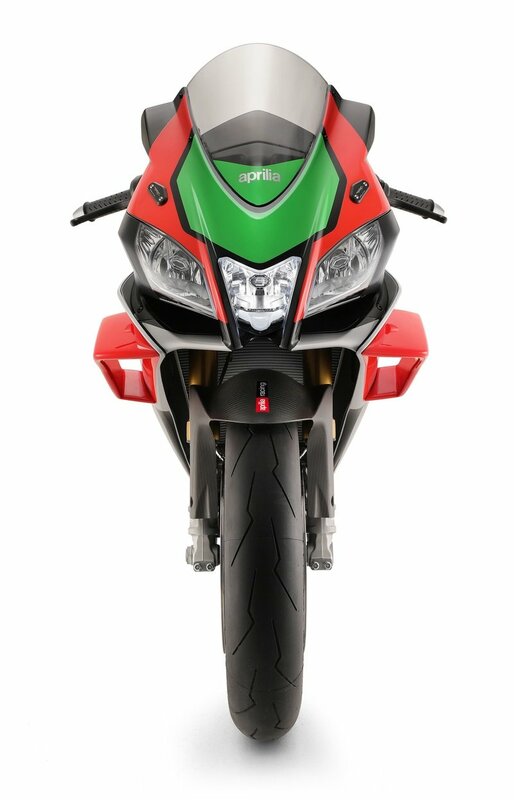 Aprilia likes to call them "aerodynamic appendages" and are here to contribute to enhances stability when the rider unleashes all of that 215 hp. 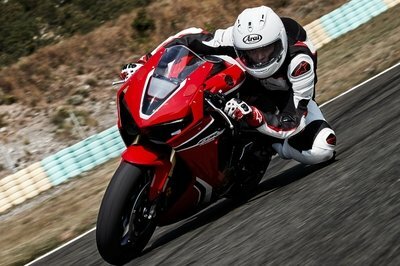 It was first developed on the RS-GP prototype and will debut on a production bike one can buy. There’s no word on price yet, but don’t expect it to be anything close to cheap.